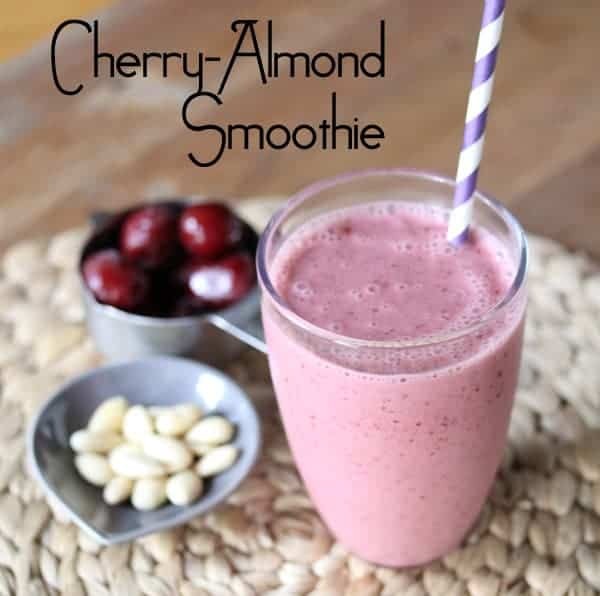 A simple and easy cherry-almond breakfast smoothie. I know. I have an addiction. My smoothie addiction goes way back. 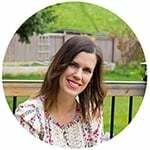 In my first trimester, I was so worried that I wasn’t eating well enough, what with all the dried toast and crackers and mashed potatoes. I was actually feeling my best first thing in the morning (and they call it morning sickness?). So my strategy was to force some fruit down in the morning before I felt sick. Since then, my immersion blender has never been so busy! I have been experimenting over the past few months with some interesting smoothie recipes, and so far, this is one of my favorites! I was super excited to find frozen cherries in the frozen food aisle of the Superstore, since previously I’d been unable to find them. If you can’t find them, you can pit your own cherries (groan) and freeze them (double groan). I did this last summer for Cherry Mojitos, and you know what? It was actually worth the trouble! 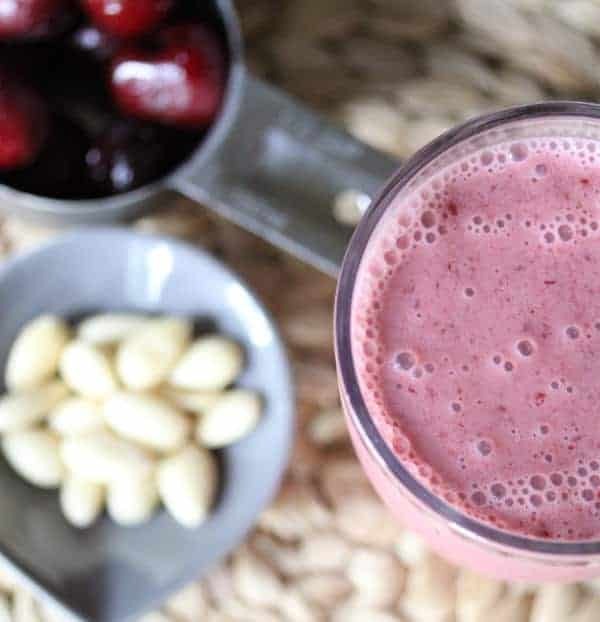 Cherries are definitely sweeter than strawberries or other berries that are typically in smoothies, and I swapped my normal cran-raspberry juice for some almond milk. Adding just a touch of almond extract brings out the almond flavors that compliment cherries so well. Total prep time: 2 minutes. Flavor profile: kind of like an almondy-cherry milkshake. So..this recipe’s a keeper. 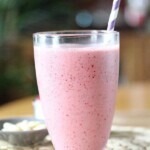 Combine everything in a blender and blend away! I tried it and it’s the best just simply easy and delicious thank you for these delicious recipe ? This looks great, but it says “dairy free”, and contains greek yogurt. I’m so happy you like it Maria! Hi! Try adding some vanilla extract next time! Cherry vanilla is perfect together. Vanilla would probably be great as well!